Meals on Half board basis in Kandy and Bed & Breakfast basis in Colombo. Whether you are looking for a memorable family holiday, a romantic getaway, an island adventure or a wellness retreat, we can create a personal, customised itinerary which will help you to experience Sri Lanka in interesting and insightful ways. Our goal is that you return from your journey feeling stimulated, pampered and truly connected to the island’s culture and its people – for us, that is what ‘traveling in style’ is all about. Arrive at Bandaranaike International Airport and meet our local representative at the pick-up point. En route visiting Pinnawala Elephant Orphange – Approx. 55 miles from Colombo, off the Colombo - Kandy road is Pinnawela. Here an orphanage was started in 1975 to house abandoned and wounded elephants. The number of elephants has increased to more than 65 now; including baby elephants brought from various parts, as well more than 25 babies born as a result of the captive breeding programmer. The best time to visit is the feeding time from 0915-0945hrs and 1415-1445hrs and the bathing time from 1000-11.00hrs and 1500-1600hrs. When all the elephants are taken to the river close by. Thereafter visit a spice garden with a free head and shoulder massage. Thereafter visit Geragama Tea Factory, Enjoy “Tea experience”, which involves a visit a plantation to observe firsthand the process, starting from the plucking field where it all begins with the picking of “two leaves and a bud” to the factory where the processing begins. Originally introduced to the island around 1850 by the British, Ceylon Tea is world famous for its high quality and has remained a major contributor to the island’s economy for generations. Currently, Sri Lanka is one of largest exporter of tea worldwide. The high altitudes produce the best flavors, so Sri Lanka’s hill-country is the ideal environment to grow the most flavorsome tea. Visit Sembuwatta Lake is a tourist attraction situated at Elkaduwa in the Matale District of Sri Lanka, adjacent to the Campbell’s Lane Forest Reserve. Sembuwatta Lake is a man-made lake created from natural spring water. Alongside the lake is a natural swimming pool. Sembuwatta Lake is believed to be 9 m (30 ft) to 12 m (39 ft) deep. Currently the lake belongs to the Elkaduwa Plantations and produces electricity for the nearby villagers. Hunnas Water Falls is located about 22 km from Kandy town, Sri Lanka. However this is located in Matale District, Elkaduwa village. There are two roads to reach Hunnas waterfall. One is coming from Matale to Elkaduwa, the other is Wattegama to Elkaduwa. Thereafter return to Kandy and commence sightseeing, KANDY, including Upper Lake Drive, Market Square, Arts & Crafts Centre, Gem Museum & Temple of Tooth Relic. Kandy the hill capital, venue of the annual Perahera The last stronghold of the Sinhala Kings was finally ceded to the British in 1815. Kandy is an example of the Buddhism's influence in Sri Lanka today. Temple's shrines and monasteries keeping alive Buddhist traditions are everywhere. Temple Of The Sacred Tooth Relic - ever since 4th Century A.D, when the Buddha's Tooth was brought to Sri Lanka hidden from sacrilegious hands in an Orissan princess' hair, the Relic has grown in repute and holiness in Sri Lanka and throughout the Buddhist world. It is considered Sri Lanka's most prized possession. Royal Botanical Gardens, Peradeniya This majestic botanical garden is 147 acres in extent and was started in 1374 as a pleasure garden of the Kings of Gampola and Kandy. There are more than 5,000 species of trees, plants and creepers. Some which are rare and endemic, as well as flora from the tropical world are found in the gardens. The Spice Garden and Orchid House are popular with tourists. There are 5 Palm Avenues beautifying the gardens, the earliest and tallest, Royal Palm Avenue, was planted in 1905 and the Double Coconuts from the Seashells Island, with the largest seed of all plants in the world, is one such avenue. By the night experience a Colorful Cultural Dance Show where you will be taken to mind blowing Sri Lankan culture extravaganza Get ready for Heavy drumbeat and acrobatic act. Colombo Night Life- Colombo has such an active nightlife. After-dark entertainment takes place around the Fort and Cinnamon Gardens area of the city. A few bars that are popular with both locals and visitors include “In on The Green” adjoining Galle Face Hotel, Cheers Pub in Cinnamon Grand Hotel, White Horse and Amuseum on Navam Mawatha, and Koluu's Tulips on Duplication Road. If you plan to go dancing and clubbing, dress well and show up late. Most of the action doesn't get started until around midnight, and there is some competition for admittance. It is not unusual for parties of single men to be turned away. Once you're in, though, the party goes on all night. COLOMBO CITY TOUR, drive through the city taking you to the busy commercial areas as well as the tree lined residential, Cinnamon Gardens, Visit Fort, the former British administrative Centre and military garrison, Sea Street - the Goldsmiths quarters in the heart of Pettah, the Bazaar area, where is also a Hindu Temple with elaborate stone carvings, and the Dutch Church of Wolfe dhal dating back to 1749. Also visit the BMICH, see the replica of Avukana Buddha & the Independence Square. 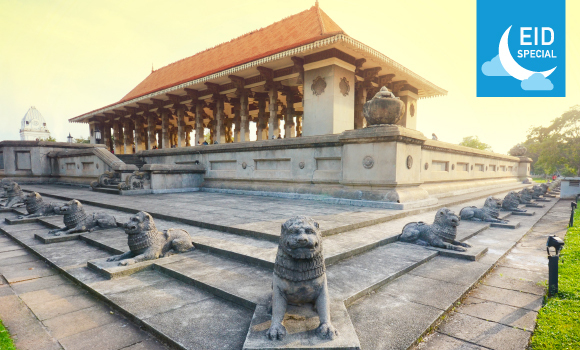 The imposing Colombo National Museum, dedicated to Sri Lankan history, borders sprawling Viharamahadevi Park and its giant Buddha. Start shopping in Colombo, Visit ODEL, House of Fashion, Colombo City Center, Liberty uptown, Arcade Independence square, Race Course, and Beverly Street, visit bargain market in Colombo. 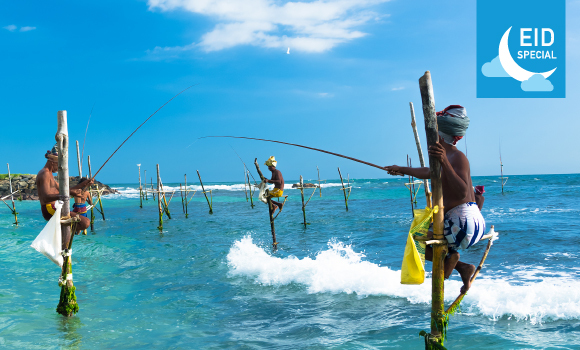 As all good things must come to an end, Thereafter proceed to the airport for your flight home with blissful memories of a truly amazing holiday in Sri Lanka.